Malhotra, Y., Integrating Knowledge Management Technologies in Organizational Business Processes: Getting Real Time Enterprises to Deliver Real Business Performance, Journal of Knowledge Management, Vol. 9, Issue 1, April 2005, 7-28. Published on February 13, 2018: LinkedIn: https://www.linkedin.com/pulse/dear-ceo-ai-machine-learning-advice-top-industry-leading-malhotra/ . Updates continuously posted since the above publication date on the LinkedIn Feed of the author: https://www.linkedin.com/in/yogeshmalhotra/ . The MIT-AI Strategy Executive Guide is inspired by many of the Management & Leadership Industry Executives in the MIT-AI Learning Communities of Practice of which I am the Learning Facilitator. The experience of leading the global industry leaders as their Learning Facilitator in pioneering AI & ML industry practices in respective firms and industries also provides an outstanding opportunity for enhancing the MIT Sloan and MIT C-SAIL Faculty Curriculum in Community of Practice discussions supported by in-depth supplementary resources included in this guide. More than 300 of the in-depth supplementary resources are included in this guide arranged over the weekly Module-by-Module Curriculum followed and related online discussions. That experience is founded upon 20-year applied and industrial R&D in advancing global Knowledge Management, and, AI & Machine Learning practices. The earliest milestone of that journey that I recall was the communication of 1995 with the Genetic Algorithms pioneer Dr. John Holland. At that time, he was at the Santa Fe Institute, the Nobel laureates’ think tank on Complexity Theory and Self-Adaptive Systems, themes on which our Digital ventures were recognized by the Wall Street Journal and New York Times as global benchmarks for industry practices. Dialog with Holland inspired the top-ranked journal paper on AI & Machine Learningin the Expert Systems with Applications journal which stimulated attention of world's smartest intelligence agencies at the time. That paper and the related R&D programguiding worldwide practices on Digital Transformation underpin some of the central issues advancing the design of AI & Machine Learning 'sense-making' systems as evident in latest developments in AI, Machine Learning, and Deep Learning R&D including the latest advances such as in Generative Adversarial Networks. Of course, they were not known by that name at that time, just like John Holland's Genetic Algorithms were not known by that name when he pioneered those AI technologies. Given strong applied interest of MIT AI-Strategy Industry Executives in software and services based robots for workflow and process automation and process optimization, Robotic Process Automation (RPA) & Cognitive Automation focus developed for and integrated in Module 4 of the MIT AI-Strategy program is also included at the beginning for ease-of-access — from the compilation of supplementary readings and study materials developed and included in the subsequent sections of this article. Also, included ahead of the weekly multimedia supplementary readings for all Modules, is a letter to a CEO participant from the recently concluded cohort responding to his query about how to get to the next technical level in strategic, tactical, and operational terms in ongoing execution and implementation of the Strategic Road Map blueprint developed in course of the MIT AI-Strategy program with many more supplementary resources. AI and Machine Learning Frameworks of 'Information Processing vs. Sense Making', and, Digital Transformation & Business Model Innovation Frameworks of Knowledge Management enterprises drawn from my published research round off the discussion and provide overarching frameworks as well as specific depth to Strategy, Processes, People, and Technology focus for the Strategic Road Map execution and implementation. Genpact: Beyond RPA + AI Automation to "Cognitive Augmentation"
"Decision-makers should take time now to consider how AI can help them fundamentally rethink and optimize their business. AI is not a silver bullet and real value comes from a tailored combination of tools designed to address a specific business problem. AI has the power to reinvent the way we do business, but only if company leaders take the time to understand the nuances of these powerful technologies. The stakes are high for companies looking to invest in AI, and incomplete understanding can lead to unsuccessful implementation and lack of ROI." MIT AI-Strategy Program: Beyond Michael Porter's Frameworks to Digital Transformation Frameworks recognized and ranked as global industry benchmarks in worldwide Business & Technology press including Wall Street Journal, New York Times, Fortune, Inc., Fast Company, Business Week, CIO Enterprise, CIO Insight, Computerworld, Information Week, and, InfoWorld, etc., and, followed by world’s foremost IT visionaries such as Microsoft founder Bill Gates, and, Big-4 CxOs. Above frameworks build a robust foundation for the Management & Leadership Industry Executives leading AI-Machine Learning industry implementations. Industry Executives engage in the global community-of-practice collaborative applied learning activities led by Subject Matter Experts-Industry Experts serving as Learning Facilitators. Industry Executives build an actionable "Blue Print" called the Strategic Road-Map starting with Digital Transformation Frameworks by integrating specific AI/ML/NLP/Robotics technologies for AI Augmentation in their own and/or client organizations. The Strategic Road-Map is advanced by applied-industrial industry-leading strategic, tactical, operational, and, technical resources to facilitate real world implementation of respective Industry Executive Strategic Road Maps in respective organizations. So, incomplete understanding can lead to unsuccessful implementation and lack of ROI. How do we ensure successful implementation of AI and Machine Learning so that the Business Value ROI is achieved? This question can be re-framed from AI-Strategy perspective as: "Why?" "Why Do We Need AI & Machine Learning?" The associated question for CxOs is "How?" "How do we keep up with AI-Machine Learning developments that really matter from AI-Strategy perspective?" This article focuses on responding to CxOs on these two critical questions on which their future may very well depend. In fact, the above question about "Why?" was answered in the following article that pioneered Real Time Enterprise Business Models and Business Processes using Knowledge Management Technologies of Human and Machine Intelligence such as AI and Machine Learning a few years ago. That response was to the question asked by the Intellectual Capital pioneer Tom Stewart, who served as the editor of Harvard Business Review and also served on the Board of Directors of Fortune. He had asked: "Knowledge management activities are all over the map: building databases, measuring intellectual capital, establishing corporate libraries, building intranets, sharing best practices, installing groupware, leading training programs, leading cultural change, fostering collaboration, creating virtual organizations – all of these are knowledge management, and every functional and staff leader can lay claim to it. But no one claims the big question: Why?" "AI and Machine Learning activities are all over the map: building databases, measuring intellectual capital, establishing corporate libraries, building intranets, sharing best practices, installing groupware, leading training programs, leading cultural change, fostering collaboration, creating virtual organizations – all of these are AI and Machine Learning, and every functional and staff leader can lay claim to it. But no one claims the big question: Why?" "Why Do We Need AI & Machine Learning? "The associated question is "How to keep up with the AI-Machine Learning developments that really matter from an AI-Strategy perspective?" To address the above two critical questions, the following discussion is divided into four sections in the given order: Synopsis of Digital Transformation Frameworks beyond Porter's Frameworks; Personal Advice to a CEO participant in the MIT AI-Strategy program on advancing to the next technical level beyond the MIT AI-Strategy program; more than three hundred additional supplementary multimedia readings and study materialsfocused on "Stratical" tactical, operational, and technical execution and implementation to complement the strategic focus of the MIT AI-Strategy program— integrated within the respective weekly Modules focus on themes including Artificial Intelligence, Machine Learning & Deep Learning, Natural Language Processing, and, Robotics and Robotic Process Automation; and, Articles and Books that pioneered advancing Digital Transformation and Business Model Innovation frameworks beyond Porter's Frameworks. "Knowledge management [including AI and Machine Learning] embodies organizational processes that seek synergistic combination of data and information-processing capacity of information technologies, and the creative and innovative capacity of human beings." Malhotra, Y., Deciphering the Knowledge Management Hype. Journal for Quality & Participation (American Society for Quality: Administrator of the Malcolm Baldrige National Quality Award), July-August, 1998. 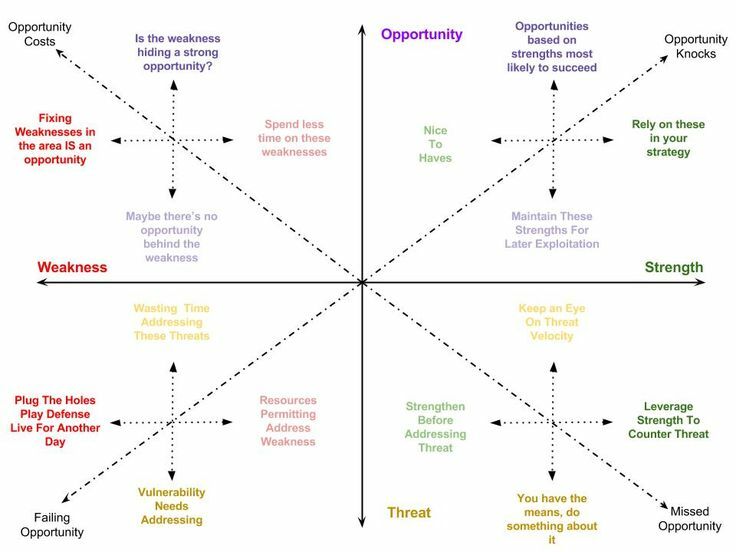 AI-Strategy Digital Transformation Frameworks for thinking about Your Vision. - All or most Technologies are means to achieve those outcomes. - All or most Strategies are means to achieve those outcomes. 2. 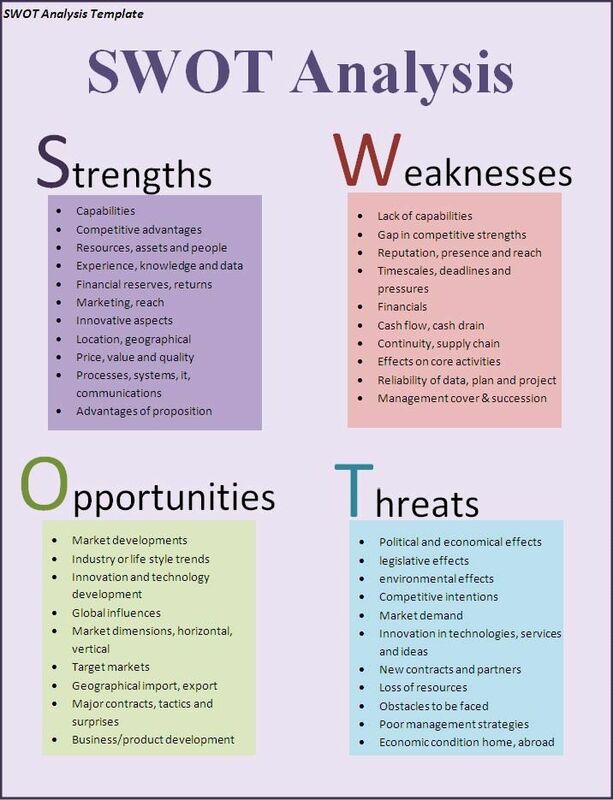 Technologies and what can be done with them are moving targets, hence know the key technologies but more significantly know "what capabilities you can derive" from them to achieve the Performance Outcomes that "you envision to achieve". 3. Technologies and programming languages come and go: what is there will be replaced by new technology or next 'shiny thing' tomorrow. Hence, focus on *broad 'capabilities' and 'trajectories'* of where the above are going and how you can adroitly 'master and manage' them to "make them achieve" "what you envision to do". 4. Regardless of choice of Strategy or Technology, Strategic Execution, i.e., how you translate the '36,000 feet view from the sky' into your business processes and practices 'where rubber meets the road' matters. Superior "Strategic Execution" can often result in superior Performance Outcomes even if one may not have the most superior Strategy or Technology. REFERENCES: Listed at the end of the article are 18 articles related to Business Processes, Digital Transformation, and, Business Model Innovation that can be enabled by AI and Machine Learning technologies to help CxOs "fundamentally rethink and optimize their business" and to "reinvent the way they do business" as noted above by IBM Fellow and VP-CTO of IBM Watson Rob High in VentureBeat. Also listed are two Books that pioneered Intelligence-Based Digital Transformation & Virtual Work by the pioneering Global Digital Transformation Virtual Community of Practice (CoP) including 200 Global PhD Industry Experts as Authors-Reviewers; 130,000 'opt-in' CoP Network Members; and, Millions of Worldwide Network Users. Reproduced below is personal advice shared with a CEO who shared about enjoying my recently concluded presentation of the MIT Sloan & MIT CSAIL Artificial Intelligence Program for Management and Leadership track industry executives and asked for my advice on going to the next level of technical understanding for his company's consulting practices. From an architectural standpoint, the white paper that I shared from Gartner goes deeper into the macro-level architecture and can provide a great starting point to dig deeper as needed. At the architectural level, the big shift is occurring in terms of traditional computer programming logic driven models to data driven Machine Learning models mostly around selected Python libraries. The three big ones are Scikit Learn, TensforFlow (What is a Tensor? ), and Keras which is a user-friendly wrapper for both. Other big shifts that are occurring are the transitions beyond Supervised Machine Learning models driven by Big Data and Big Computing to Unsupervised Machine Learning models driven by Smarter Algorithms - with related shifts beyond Stochastic Gradient Descent models based Convolutional Neural Networks (CNN) and Recurrent Neural Networks (RNN) toward Reinforcement Learning based Neuroevolution and Evolutionary Search Models - within which the shifts are beyond Fitness-driven models toward Novelty-driven models. Within the widely followed and applied overarching frameworks founded in my own scholarly, industrial, and applied R&D, all these transitions make sense from a Risk and Uncertainty Management perspective that is discussed across my recent SSRN papers and presentationsaccessible online. Within that perspective, most transitions are occurring at the intersection of Math/Statistics/Probability, Computing, and, Coding/Development/Programming that I call the DigitalComputationalQuantitativeCyberQuantum paradigms (see related SSRN papers and presentations). While cross-disciplinary intersecting practices in these areas are already emerging such as in Quantitative Finance & Trading, 'books' at these intersections may get published later in the future, and, 'courses' may likely follow. Over the span of the MIT AI-Strategy course, I had shared post-course implementation notesfor translating the individual Strategic Road-Maps developed over the span of the course into actual implementations in respective enterprises. 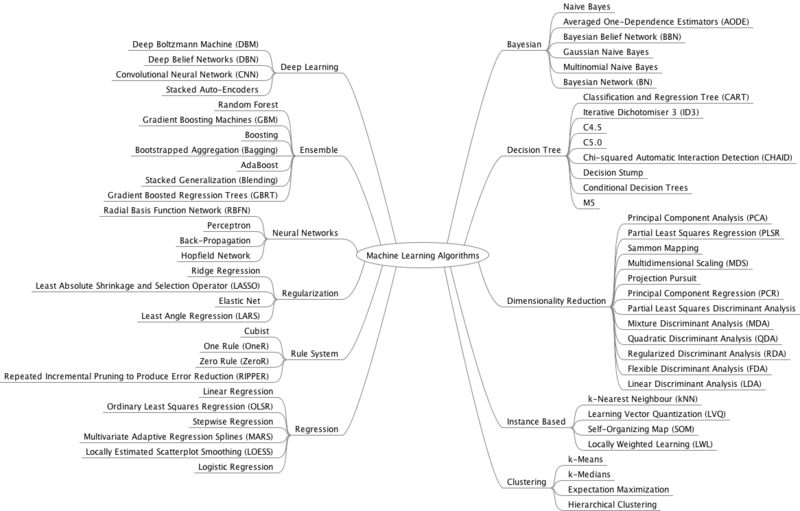 These notes were shared as write-ups in our action learning community of practice discussions wherein I outlined among implementation tools many of the top Machine Learning-Deep Learning libraries focused books (such as on Scikit Learn, TensforFlow, and Keras) written by Machine Learning engineers and practitioners from an applied-industrial perspective. I had also shared top-ranked books that are significantly referenced by AI and Machine Learning R&D and implementation practitioners including the Deep Learning book, the Reinforcement Learning (RL) book, and, a number of Statistical Machine Learning books from Stanford and UC Berkeley. In addition, I had also shared the code development implementation focus grounded in computer science and AI from the development and implementation focused computer science and AI experts followed by worldwide AI and Machine Learning developers and practitioners. One resource lists about a dozen books for developers and practitioners [all of which I subscribe to and progress through as feasible] primarily that go into specific applied development and implementation of AI and Machine Learning technologies such as Long Short Term Memory Networks, Natural Language Processing, etc. The above applied-industrial books capture the key significant areas for developing greater depth of practice in the mathematical, statistical, probabilistic, coding-developmental aspects of AI and Machine Learning and Deep Learning. These are among some of the sources that I draw upon depending on the specific technical real world implementation projects that I need to deliver in specific applied domains of practice. Specific instances of how I do so, I shared and demonstrated in the application of Long Short Term Memory-Word2Vec and related models for Natural Language Processingapplications and discussion on Sparse Matrices in the context of the Week 4 Module on Robotics (and RPA) while discussing AI, Machine Learning, and Deep Learning technologies powering self-guided autonomous cars, one among many other areas of applied-industrial AI, Machine Learning, and Deep Learning practices pioneered by MIT-CSAIL. There are too many AI, Machine Learning, and Deep Learning 'courses' on the above technologies and related programming languages and libraries. Most leading-edge applied real-world knowledge however is in the latest technological [computational & mathematical] capabilities that leapfrog traditional performance models. These developments are shared by word-of-mouth typically over diverse social networks and communities of AI and Machine Learning-Deep Learning technical practitioners and developers often before or just when they are published as first drafts of working research papers, if they are published as formal papers at all. For instance, my formal academic training happened to accumulate graduate credits equivalent to multiple PhDs toward building domain specific depths while advancing applications in real practice in areas such as Quantitative Finance and Cybersecurity and related applied practice areas such as Cyber Risk Insurance given my focus on computational quantitative mathematical models of Risk Modeling and Uncertainty Management. Even then, I am subscribed to additional dozens of most highly rated courses by individuals and entities such as Andrew Ng, Geoffrey Hinton, and, Google across Udemy, Udacity, Coursera, edX, etc. that I scan whenever feasible. However, most such courses are relatively academic in nature often influenced by the depth and background of applied-industrial experience and expertise of the instructors. In addition, those courses often also have significant overlaps in terms of coverage. For instance, if one wants to dig deeper into dynamic motion image processing which is the central bread-and-butter for many of the Machine Learning and Deep Learning applications, one needs to be digging deeper into Computer Vision Machine Learning practitioner applications and use cases - which again are disseminated via Machine Learning communities of practice - and skip almost everything else. Even in that specific context, one would focus beyond Convolutional Neural Networks(CNN) to the latest developments in RNN-CNN combinations, Recurrent Neural Networks(RNN)-Long Short Term Memory Networks and Capsule Networks. [As one may consider AI-based computer vision applications, it may help to also consider if the specific applications can be enabled by Fuzzy Logic based Computer Vision for instance: remember that there are multiple types of AI and not all applications need to be based on Neural Networks.] Hence choosing specific parts of specific 'courses' and 'books' is significantly driven by specific contexts of the applied-industrial applications even when most such 'books' and 'courses' often cater to what is generating the most buzz. In summary, given the specific 'books' and 'courses', what to pick and what to skip, is highly dependent upon applied context application, implementation and development, with most of the real domain-specific and context-specific applications driving the leading-edge practices being defined and shared across communities of practice. Wishing you all the best in action learning and active practice. Beyond Michael Porter to "Anticipation of Surprise"
MIT Technology Review: Is AI Riding a One-Trick Pony? NLP vs. NLU: What's the Difference? Learn TensorFlow and DL, without a Ph.D. When does a car become truly autonomous? MIT Technology Review: AI doesn't have "Common Sense"
Despite All Fancy AI, Solving Intelligence Remains "the Greatest Problem in Science." MIT Technology Review: What Skills Will You Need to Be Employable in 2030? IEEE: New Quantum Crypto Scheme Looks Ahead to "Quantum Internet"
MIT: When an AI finally kills someone, who will be responsible? AI Augmentation: Sense Making: What it Means to be Human? AI Augmentation: Personal Meaning: What it Means to be Human? AI Augmentation: Self-Determination: What it Means to be Human? AI Augmentation: Motivation & Commitment: What it Means to be Human? AI Augmentation: Internal Motivation: What it Means to be Human? AI Augmentation: Volition and Commitment: What it Means to be Human? AI Augmentation: Motivation and Commitment: What it Means to be Human? AI Augmentation: Social Influence & Behavior: What it Means to be Human? AI: Model Risk Management to counter Spurious ML "Patterns"
Listed below are 18 articles related to Business Processes, Digital Transformation, and, Business Model Innovation that can be enabled by AI and Machine Learning technologies to help CxOs "fundamentally rethink and optimize their business" and to "reinvent the way they do business" as noted above by IBM Fellow and VP-CTO of IBM Watson Rob High in VentureBeat. Malhotra, Y., Enabling Knowledge Exchanges for E-Business Communities, Information Strategy: The Executive's Journal, 18(3), Spring 2002, 26-31. Malhotra, Y., Knowledge Management for E-Business Performance: Advancing Information Strategy to 'Internet Time’. Information Strategy: The Executive's Journal, 16(4), Summer 2000, 5-16. Malhotra, Y., Expert Systems for Knowledge Management: Crossing the Chasm between Information Processing and Sense Making, Expert Systems with Applications: An International Journal, 20(1), 7-16, 2001. Malhotra, Y., Business Process Redesign: An Overview. IEEE Engineering Management Review, 26(3), Fall, 1998, 27-31. Malhotra, Y., When Best Practices Becomes Worst Practices [On Managing Model Risk], Momentum: The Quality Magazine of Australasia [Quality Society of Australasia], NSW, Australia, September 2002, 29-30. King, W.R., and Malhotra, Y., Developing a Framework for Analyzing IS Sourcing, Information and Management, 37(6), 2000, 323-334. Malhotra, Y., Knowledge Management and New Organization Forms: A Framework for Business Model Innovation. Information Resources Management Journal, 13(1), January-March, 2000, 5-14. Malhotra, Y., Knowledge Management for Organizational White Waters: An Ecological Framework. Knowledge Management, 2(6), March, 1999, 18-21. Malhotra, Y., Enabling Next Generation e-Business Architectures: Balancing Integration and Flexibility for Managing Business Transformation. Intel Corporation, Portland, Oregon. Summer 2001. (Expert Paper invited by the Intel Corporation). Malhotra, Y., From Information Management to Knowledge Management: Beyond the 'Hi-Tech Hidebound' Systems. In K. Srikantaiah & M.E.D. Koenig (Eds. ), Knowledge Management for the Information Professional. Medford, N.J.: Information Today Inc. 37-61, 2000. Malhotra, Yogesh, Cognitive Computing for Anticipatory Risk Analytics in Intelligence, Surveillance, & Reconnaissance (ISR): Model Risk Management in Artificial Intelligence & Machine Learning (Presentation Slides) (January 28, 2018). Available at SSRN: https://ssrn.com/abstract=3111837 or http://dx.doi.org/10.2139/ssrn.3111837. Malhotra, Yogesh, Cybersecurity & Cyber-Finance Risk Management: Strategies, Tactics, Operations, &, Intelligence: Enterprise Risk Management to Model Risk Management: Understanding Vulnerabilities, Threats, & Risk Mitigation (Presentation Slides) (September 15, 2015). Available at SSRN: https://ssrn.com/abstract=2693886. Malhotra, Y. Making AI & Deep Learning Work Better: Designing 'Smart Minds' Using 'Smart Tools', LinkedIn. 2017. Malhotra, Y. How Deep Learning Models compare with Human Minds: 'Information Processing vs. Sense Making' Revisited, LinkedIn. 2017. Malhotra, Y. On Advancing Machine Learning & Deep Learning Systems, LinkedIn. 2017. Malhotra, Y. Cognitive Analytics of Quantum Computing and Quantum Biology, LinkedIn. 2017. Malhotra, Y. Beyond Prediction to ‘Anticipation of Risk’, LinkedIn. 2017. Books that Pioneered Intelligence-Based Digital Transformation & Virtual Work by the Pioneering Global Digital Transformation Virtual Community of Practice (CoP) including 200 Global PhD Industry Experts as Authors-Reviewers; 130,000 'opt-in' CoP Network Members; and, Millions of Worldwide Network Users. Malhotra, Y. (ed. ), Knowledge Management and Virtual Organizations, Idea Group Publishing, Hershey: PA, April 2000, 408 pages. Malhotra, Y. (ed. ), Knowledge Management and Business Model Innovation, Idea Group Publishing, Hershey: PA, April 2001, 470 pages. "Knowledge Management and Business Model Innovation is an important addition to the IS researcher's bookshelf. It brings together the latest thinking on issues at the forefront of teaching innovation and professional imagination." - M. Lynne Markus, Professor and Department Chair of Electronic Business, City University of Hong Kong.